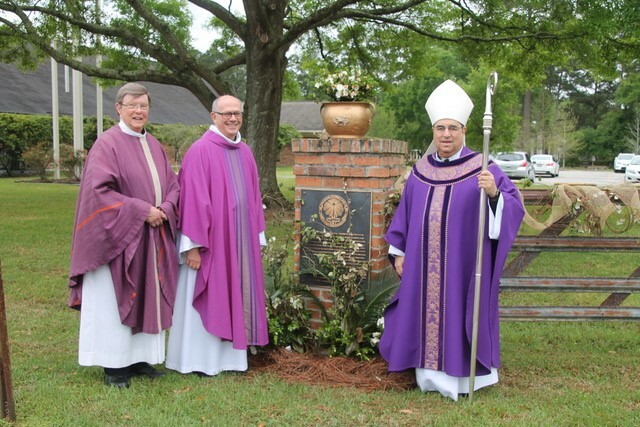 This weekend Father Frank Uter invited me to preach a short Lenten mission at the Immaculate Conception Parish, Denham Springs, Louisiana, to commemorate the centenary of the arrival of the Oblates in this area. 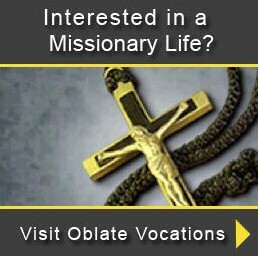 After the mission, Fr. Santucci cuts the celebratory cake! 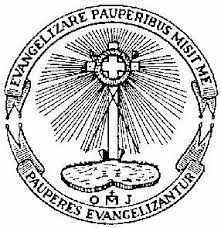 As I preached on our Oblate charism and spirituality, a large number of parishioners approached me warmly recalling the Oblates who had served here. Specially remembered was Ron Walker, who had been pastor for nine years before leaving for Zambia. This Sunday as we celebrate the Fourth Sunday of Lent, we are happy to welcome among us both Bishop Michael Duca and Fr. 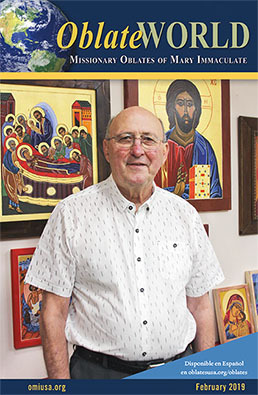 Frank Santucci, O.M.I. 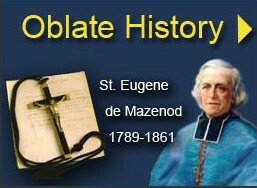 as we celebrate the centennial of the coming of the Oblates to Livingston Parish. We already have a memorial on the grounds to the Oblates, not some big granite memorial but rather an old, rusty gate which prior to 1964, stood near Hatchell Lane when our church campus was nothing but pasture and woods. 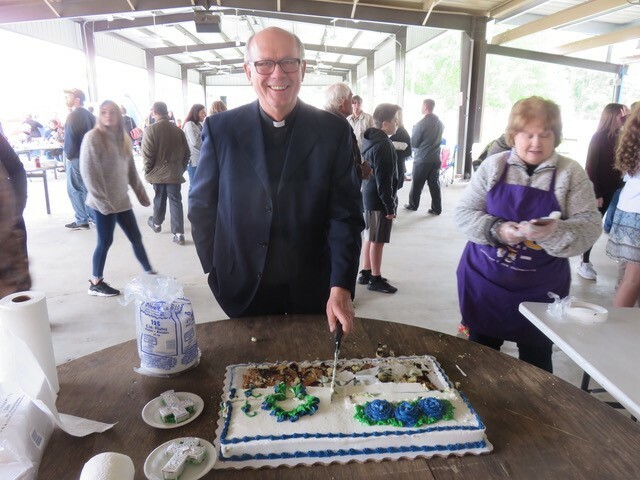 Richard Young saved the gate when the property was developed, placing it in his barn, and years later pulled them out and in 2011 gave them to us when we celebrated the 50th Anniversary of our parish A few years later, Bishop Muench walked through it when we dedicated the Faith Formation Center. 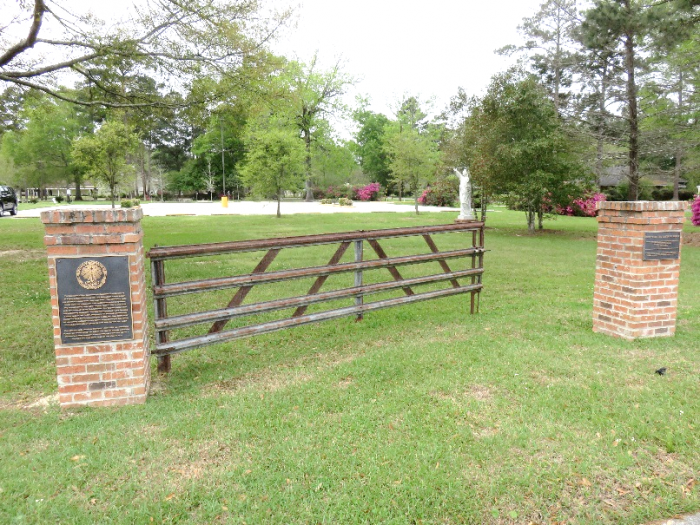 In 2015 the gate was placed permanently on the property as a memorial to the Oblates who served here throughout Livingston Parish from 1919 until 1983. Two bronze plaques were made for the posts which hold up the gate. The one on the left has a brief history of the gate and dedication to the Oblates and the one on the right has our Mission Statement which begins with our being a welcoming community.